The first three years of life are a time of very rapid brain growth. 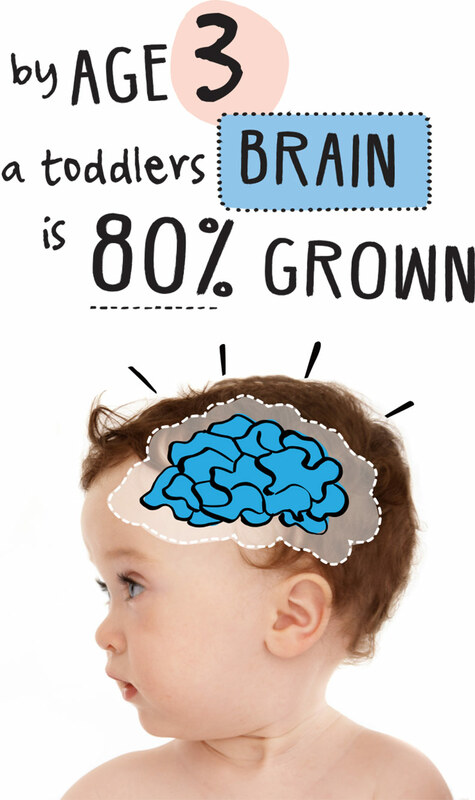 A newborn baby’s brain is about 25% the size of an adult’s but by three years of age your toddler’s brain will have reached about 80% of its adult size! By three years your toddler may have learnt up to 900 words! Scientists now believe the toddler years are a unique window of opportunity for brain development, the right nutrition during the toddler years is important to fuel brain growth and may influence your toddler’s school performance later in life. Iron is a nutrient that is important for supporting healthy brain growth and development. During toddlerhood, your toddler’s brain and body are developing rapidly, which is why toddlers have high iron requirements compared to adults, for instance toddlers for their size need nearly 4 times more iron than adults (per kg body of weight).